If only Kirstie Alley would wise up about Scientology like Leah Remini did. We really want to like Kirstie. The Scream Queens actress certainly didn’t make any friends when she started tweeting after the Las Vegas massacre that psychiatric drugs – not necessarily guns – caused the whole thing to happen. She pointed out that violence and suicide are common side effects of anti-anxiety drugs. Of course Scientologists have an inexplicable hatred of psychiatrists and the drugs they prescribe, and blame them for many of the world’s problems. Sadly, Kirstie’s tweets reveal that she is still a slave to Scientology and might never change. She did get a powerful backlash to her remarks and dropped the subject for now. Look who’s on a shopping spree in New York! Kirstie Alley is enjoying the after Christmas sales and trying to avoid questions about Leah Remini’s anti-Scientology documentary series currently showing on A&E. Since Leah left Scientology, Kirstie has declared her an “enemy.” Ironically, it’s rumored that Kirstie’s ex-husband Parker Stevenson is upset about his grandson being born into Scientology and reached out to Leah for advice. Kirstie and Parker’s son True became a father last June. He and his sister have been raised in the church and work there. It’s been awhile since we’ve seen Kirstie Alley, but she turned up at Target, looking for sale merchandise like many other shoppers. Kirstie found a sales person and asked to see a particular table that was advertised on sale. The clerk informed her that the item was sold out but it could be ordered and sent to her. Kirstie was NOT happy. “But I want it TODAY!” she declared. The salesperson apologized and pointed out a nicer and costlier table that was available. Kirstie demanded to see the manager and pressured the manager to give her the expensive table for the price of the sale table! The manager refused despite Kirstie’s relentless pleas. She left scowling and we can’t help but wonder why Kirstie Alley is buying furniture at Target in the first place! It’s a good thing Leah Remini has friends like Jennifer Lopez because her former friend Kirstie Alley wishes nothing but the WORST for her. Just to show you how loony Scientology IS – Kirstie has called off her friendship with her DWTS dance partner Maksim Chmerkovskiy because he’s hanging out with Jennifer Lopez, and Jen happens to be friends with Leah! (Leah, as you know, left Scientology not long ago) That’s third generation SHUNNING! Maks revealed this on Watch What Happens Live so it’s no rumor! Incidentally, Jennifer has agreed to appear on Leah’s reality show “It’s All Relative” – and that is a friend, in deed. It’s funny how fellow Scientologist Kirstie Alley is the only one alive who thinks John Travolta is not gay. Or SAYS she thinks that. When all those masseurs and airline personell started crawling out of the woodwork blabbing about their romantic liaisons with John, Kirstie was quick to call them all liars. She ought to know – Kirstie had a crush on John in 1989 and while promoting her new TV Land series (above) recently gushed to Howard Stern that he was “the greatest love of her life” although she resisted having an affair because she was married. Keep in mind, Scientologists are encouraged to LIE or do anything necessary to protect members of the church. If only Leah Remini would comment on this. “DANCING WITH THE STARS” IS MAKING A COMEBACK WITH VALERIE HARPER AND LEAH REMINI! Last season’s “Dancing With The Stars” was a huge snooze because the contestants were far from interesting and mostly unknown. But we’re geared up to watch the show this Fall because we’re excited about Valerie Harper and Leah Remini! We’re so happy that Valerie is feeling well enough to dance after her awful cancer diagnosis. She IS making the most of the rest of her life! And how interesting is it that Leah Remini is following in her FORMER friend Kirstie Alley’s foosteps and joining the competition! Wouldn’t it be great if they matched up Leah with Kirstie’s former partner Maks? We wouldn’t be surprised if Leah’s pal Jennifer Lopez gives her a few dancefloor tips. “When faced w malicious gossip I take a moment to experience the loss of the person I thought was my friend… Then I say f–k em..:) #RISE” Alley tweeted on Wednesday. What kind of “religion” does this? If Kirstie Alley’s daughter left the church she would never see her mother again! The insanity of Scientology is staggering. It will be interesting to see if Jennifer Lopez remains friendly with Leah. A big setback for Kirstie Alley and Scientology. A customer of Kirstie’s weight loss program “Organic Liaison” filed a lawsuit charging the Scientology backed company with false advertising. 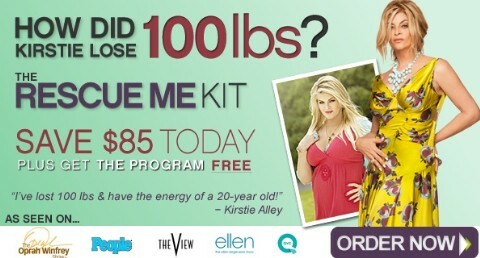 Kirstie claimed to have lost 100 pounds using her product, but the dissatisfied customer pointed out that Kirstie actually lost the weight by dieting and exercising and rehearsing for “Dancing with the Stars.” Kirstie’s high powered Scientology lawyer tried to get the suit dismissed, but the judge ruled against her. Kirstie had to pay the disgruntled customer $130,000 and she has to re-word the ads for her product. No doubt customers will lose faith in the system and the Los Feliz store will be emptier than ever.